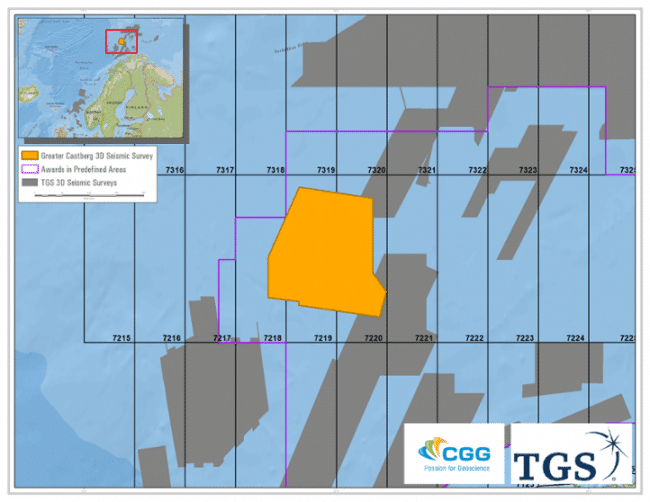 CGG and TGS announce the Greater Castberg TopSeis™ survey in the Barents Sea. The Greater Castberg TopSeis™ survey of 5000 square km, covering existing and newly awarded licenses and open acreage, will be acquired and processed in 2019 with final delivery estimated in Q4 2020. The project is a cooperation between TGS and CGG and is supported by industry funding. The TopSeis method was developed by Lundin Norway and CGG. 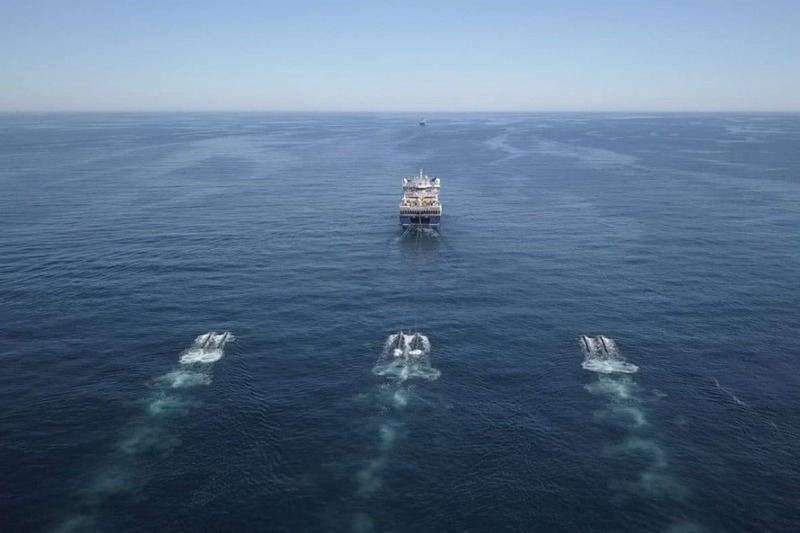 The method is based on two seismic vessels operating in tandem. The signal sources of one vessel are placed directly over the streamers, and not in front which is customary. The streamers must be towed sufficiently deep in the water so that the vessel with the signal source can sail over them without coming into conflict with the streamers. Senior geophysicist in Lundin Norway, Per Eivind Dhelie describes how TopSeis is applied in the southern Barents Sea as follows: “Seismic data acquisition in the southern Barents Sea requires a bit more work, simply because the seabed is very hard and signals are reflected in an entirely different way than we are used to from other parts of the Norwegian continental shelf. TopSeis provides crystal-clear images of the subsurface and is particularly well-suited for shallow reservoirs. The level of detail that the TopSeis method can provide will help to improve our understanding of special geological conditions with large cavities in the subsurface (karstified carbonates), such as in the Alta discovery.” TopSeis surveys have been acquired on the Loppa High for better imaging and understanding of the karstified carbonates (read more here). The other application has been by using AVO-analyses to predict hydrocarbon presence in shallow reservoirs in the Barents Sea. Conventional acquisition is inadequate for AVO-analyses because of the lack of near offsets. CGG states that AVO-anomalies can be used as a very accurate, predictive tool. 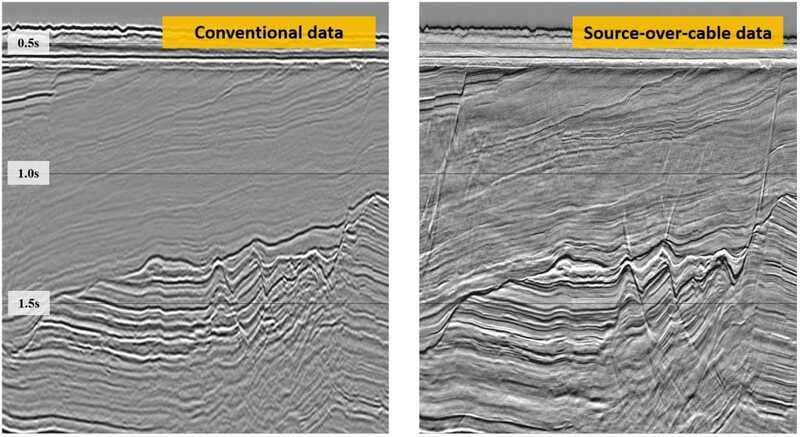 In the Wisting area the well results fit the seismic very well, and also the result of Aker BP’s Svanefjell well were correctly predicted (Read “Spot on with TopSeis”). Now the next area in the Barents Sea that can benefit from TopSeis is the Castberg area.